Lo único que me costo fue comunicarme por teléfono pero por lo demás todo bien. Muy trainquil y facil. Solo does problemas yo tuve: Primero, fue necesario entrar por una garita cada vez por ida y regreso por el dia. Segundo, el desayuno fue una decepcion. Ofertaba solamente muffin, cereal, leche, cafe, y te. Porque no ofertaba frutas? Estuve solo de paso por una noche para ir al aeropuerto. El servicio para ir es genial. El hostel es extremadamente limpio. Muy amables todos! Muy recomendable. 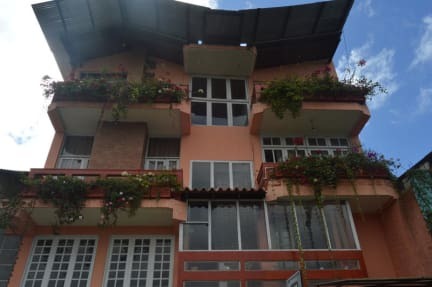 Me pareció una excelente opción de hostelería. Basic, clean and close to the airport. In a super residential, gated, safe community. Nothing around in terms of food unless you want to walk a mile, but you can order for delivery (ask the front desk if you need help). The room right next to the front desk felt kind of like a dungeon. There was only a tiny window and no mirror anywhere, so I have no idea what I looked like in the morning but since I was about to be on a plane so it didn’t really matter. Shuttle service was prompt! 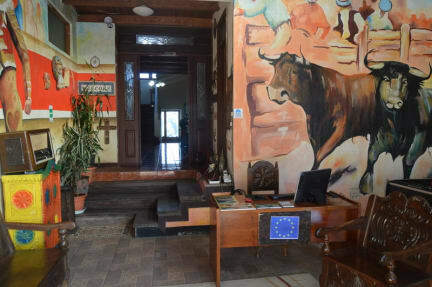 I had a disappointing experience with the Euro Hostel. After sharing my flight details and arranging for an aiport pick up, they forgot me. I tried calling, emailing and sending facebook messages from the airport (using expensive data roaming) but no-one answered. After waiting an hour I decided to take a taxi which cost more that my nights stay and wasn't refunded. They didn't seem too apologetic. Other than this, thd hostel was fine and the staff were nice.